Nothing says ‘VIP’ like hiring a limo for your special occasion. Whether this is for a birthday, wedding, prom night, or just a big night out – arriving in a limo is the ultimate answer to arriving in style. Apart from making your night extra special, it will also give you some great memories that you and your friends can talk about for years later. As a company that provides limousine and party bus hire in Hertfordshire and the surrounding areas, people have hired our limos out for a number of different reasons. Below, we have put together a list of some of the top reasons for hiring out a limo. There is nothing better than arriving to your high school prom in style! Kids want to make their last high school event special, and this is certainly one way to make it memorable. It may be the last time that everyone gets together before going their separate ways, so it’s also a perfect chance to take some pictures. It also gives big groups the opportunity to arrive at the prom together, as often they would have to turn up in different cars. 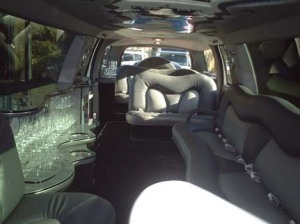 Hiring a limo for your birthday allows you do something different to everyone else. You don’t need to think about making travel arrangements, as a limo will be able to take you to and from all your destinations. It’s much more fun than taking the tube! It also means that neither you nor one of your friends has to be the designated driver. That way, everyone can enjoy the night and no one has to worry about not drinking. Your wedding day is a day that you’ll remember forever. Couples are always searching to make their day different; something that will set them apart from other people. This is why we think it is a good idea to hire a limo for your special day. A lot of limousine companies can offer you specific packages to suit different needs, so there is sure to be something for every couple. As you can see, there are plenty of reasons for hiring a limousine and making it an event to remember. It would definitely be an amazing decision. Here at Swift Travel, we have a selection of limos and party buses for hire, and all are guaranteed to make your party extra special. So if you live in Hertfordshire or the surrounding areas, and you are interested in hiring a limo, or you have any questions about other services we offer, do not hesitate to contact us. You can call us on 01279 739193 and a member of staff will be happy to help you out.